The 2013 school year is the 20th Anniversary of E4C’s School Lunch Program, so we thought we’d dedicate a whole series of posts to exploring the program. We’ll get the kids best lunchtime stories, the perspective of teachers and parents, and speak to community impact, but first, let’s start with the basics. The School Lunch Program began with a group of concerned parents and the Child Poverty Action Group in November 1993. The goals of the program are to enable children to learn in school, to improve food security for children and families, and to help caregivers and community members develop skills. 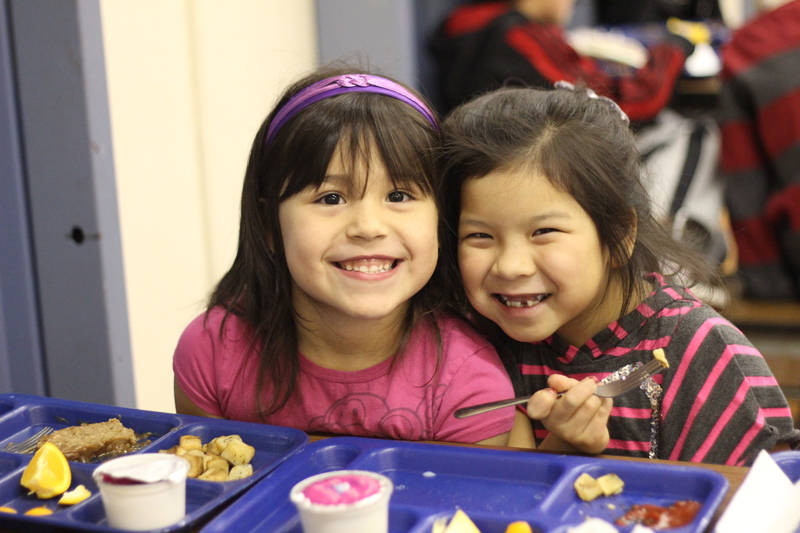 Ten schools, both Public and Catholic, are involved and 2,100 children are fed from kindergarten to Grade 6. The program helps children concentrate on their schoolwork and not on their hunger. Student behavior is positively influenced, such as attendance, morale and concentration.